In Belgium we start our day with artisanal bread and sweet spreads. 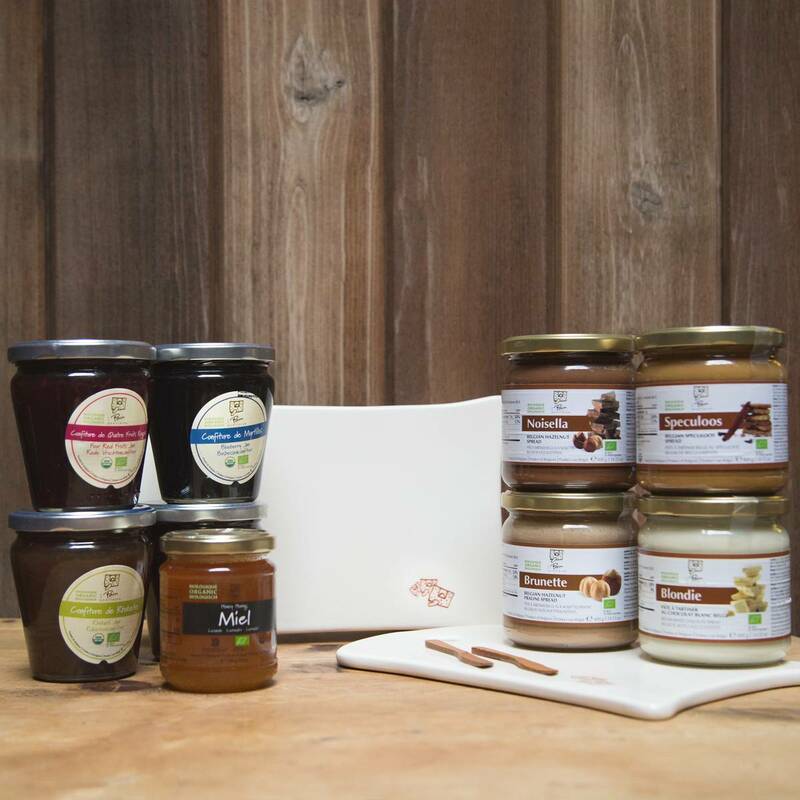 This veritable pantry includes our organic jams, honeys and chocolate spreads packed in a Kiri wood box (pictured), with two tartine boards for serving. 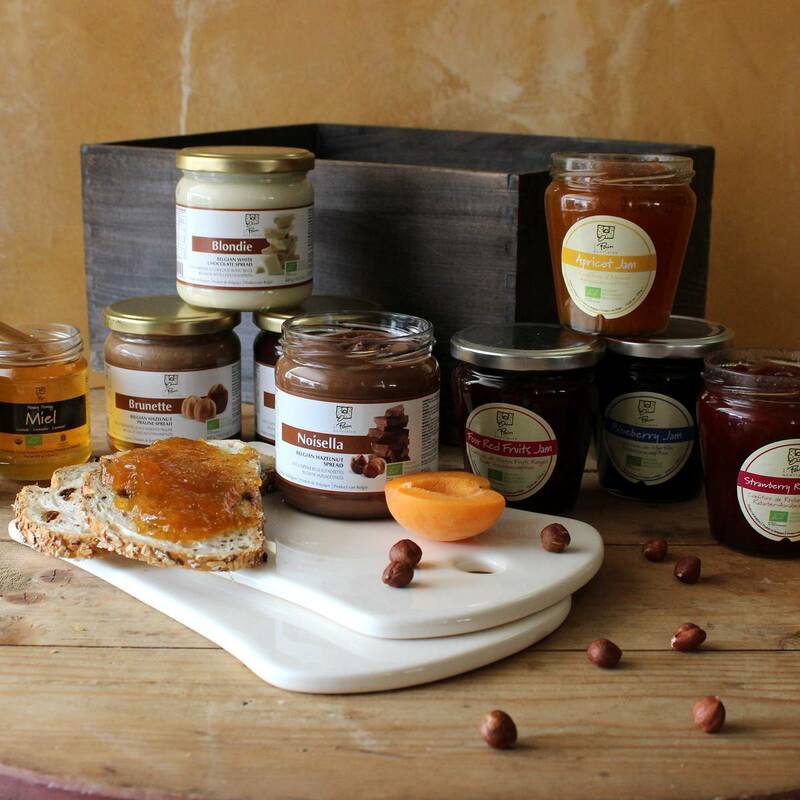 In Belgium we start our day with artisanal bread and sweet spreads. This veritable pantry incudes our organic jams, honeys and chocolate spreads packed in a Kiri wood box (pictured) or a natural wood box, with two tartine boards for serving.